Today is the day, it's been five years in the making! 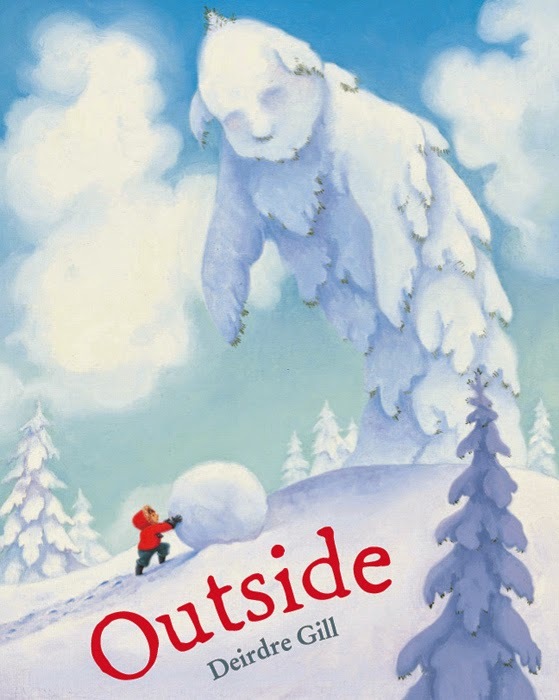 My picture book, Outside, is officially published. I was inspired to write this book by my love of the outdoors. I believe that there is a world of wonder and imagination that awaits when you step outside. As the W.B. Yeats quote reads on the opening page: "The world is full of magic things, patiently waiting for our senses to grow sharper." If you happen to want a signed copy, you can order from Phoenix Books in Burlington. They will ship it to you after my book launch event happening there on 11/8/14. You can also use Indie Bound to find it locally. And if you'd like a discount, buy direct from the publisher. If you happen to be either in Vermont or New York City, please join me for one of these upcoming events. Enter a snowy world of wonder and fantasy as one child steps outside and opens the door to the brave new world of his imagination.